The Bailspeak Wall of Classes. Bailspeak Does Not Keep Digital Records of Students; we use "The Wall" to know who is who. Click on the Above Photo to "Like on Facebook." HERE for a Video re "Can Bounty Hunters Carry Guns?" HERE for a Video re How to Avoid Felonious Behavior. HERE for a Video re Bailspeak's Highly Coveted Proof of Training 5.11 Ball Cap. HERE for a Video re TASER Awareness Classes Good for Six Hours Bail CE. HERE for a Video re a Bailspeak Training Class. HERE for a Video re a Real Bounty Hunting Takedown. HERE for a Video re a Jobs for ex police, sheriff deputies and other prior law enforcement. 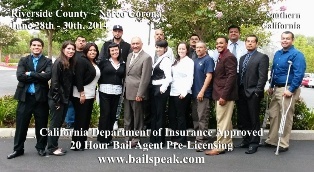 Q: Is Bailspeak "Approved" for 20-Hours of Bail Agent Pre-Licensing by the California Department of Insurance? A: Yes. Bailspeak is an "Approved" Bail Education Provider with DOI "Approved" courses that are primarily instructed by a veteran Bail Bond Company owner; moreover, any person wishing to secure bail agent pre-licensing for the purpose of learning how to become a licensed bail agent should conduct due diligence to be sure that so-called instructors purporting or otherwise portraying themselves to be licensed bail agents are either bail agents in good standing or, at the very least, had been licensed bail agents and, at some point, those instructing should have experience actually running a bail bond company; indeed, it does not stand to reason to learn how to become a bondsman from someone who has never actually run a bail bond company—legally. · You will be instructed on how to operate a bail bond company by licensed bail agents who are each actively running bail agencies. · You will be instructed by small business owners who actually run small businesses. · You will learn lawful bounty hunting from active bounty hunters. · You will learn how to hire bounty hunters who know how to keep you from being sued. 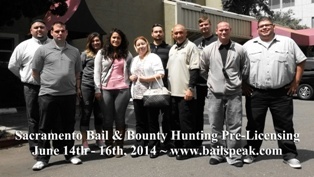 · You will learn bail bond motion studies from bail agents who are successful in moving California Superior Courts. · You will have access to bail industry leaders as a perk to all Bailspeak Alumni. · California Bounty Hunting License: Frequently Asked Questions about how to become a bounty hunter in California and bounty hunting laws. Q: Do I need a Bounty Hunter License to Bounty Hunt in California? A: No. California is a Certification State with an exception for California licensed private investigators and out-of-state bail agents or private investigators who must then comply with the requirements of California Penal Code §847.5 covered in detail in this video. Q: Do I need a Criminal Justice Degree or would a Criminal Justice Degree help me in becoming a bounty hunter? A: No. There is no requirement for a California bounty hunter to have any degree, nor is there any known evidence, anecdotal or otherwise, to suggest that a criminal justice degree has anything to do with California bounty hunting at all. Q: What are the California Bounty Hunting Laws for Fugitive Recovery Agents? 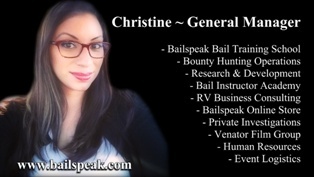 A: Please visit Bailspeak’s Sister site www.penalcode1299.com for substantial information and to study 1299 California Bounty Hunter Laws in relation to bounty hunting bail jumpers. Q: Okay. So Bailspeak is a PC 1299 Compliant bounty hunter school, but why should I enroll in a Bailspeak Class? A: Please Take the below Bailspeak “Lawful Bounty Hunting Quiz,” and, if you cannot answer all of the questions without Internet search engine or Bailspeak Alumni assistance, please consider enrolling in Bailspeak’s Live Seminar Bail Training Courses. · What is the "forfeiture period," how is it triggered, when does it start, how long does it last? · What is the “appearance period” regarding a forfeited bond? · Is it lawful to apprehend a bail jumper while a motion to extend is pending? · Under which laws and circumstances do bounty hunters LAWFULLY transport and carry firearms? · Under which circumstances may a prosecuting attorney charge a bounty hunter with Burglary, False Imprisonment, Extortion, Conspiracy, Kidnapping, Robbery, Impersonation, and when do charges go Federal? · When and how does Deprivation of Civil Rights under the Color of State Authority apply to bounty hunters? · What constitutes Due Diligence that will not shock the reasonable person? · How much time does a bounty hunter have to book a bail jumper? · Which documents are required to lawfully apprehend a bail jumper? · Which documents are interchangeable? · When may a bounty hunter be charged with perjury, forgery, conspiracy, and impersonating a peace officer? · Is it lawful to place GPS Trackers on People's vehicles? · Which Certifications do you need to lawfully bounty hunt? · What is a "declaration" or "conclusory affidavit," and do you have to be "1299 compliant" to complete one or either? · What is allowed on a declaration? 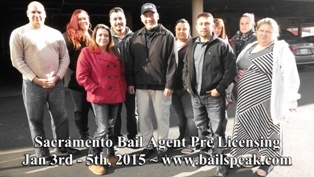 Q: What are the Bailspeak Bail Agent Pre-Licensing Tuition Costs? 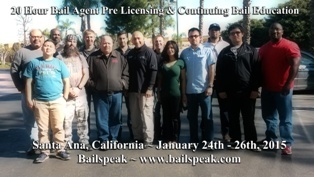 A: Visit www.bailspeak.com and click on the “Bail Class Schedule” page, scroll down past Sacramento and past San Diego where you will find Tuition Options. Q: What about California Bail Agent Continuing Bail Education? A: Bailspeak is also “Approved” by the California Department of Insurance in offering a variety of Continuing Bail Education classes that are current, timely and matter in today’s bail bond industry. Q: How do I get started, or how do I become a bounty hunter? A: "How to get started in bounty hunting, or bail enforcement, is the most oft asked question that I receive via telephone, cellular phone, email and in person. A single answer to the question does not exist, in my opinion, and, in point of fact, there is no simple way to convey the incalculable number of questions and answers necessary to negotiate the multitude of sub topics on the subject. The laws that govern bounty hunting may or may not intertwine to form a labyrinth of study to be followed by studying published case cites and then discovering how it all applies to the streets. It would be inescapably necessary to discuss the importance of physical fitness, one’s psychological ability to negotiate confrontation safely and legally, training, certification, licensing, investigations, sales, marketing, understanding the bail bond company owner’s goals, objectives and the many ways deals can go bad. Q: How do I find bail jumpers as a fugitive recovery agent; what does it take to practice bounty hunting as a bail enforcement agent? A: STREET PROVEN bounty hunters display certain sets of intransigent behaviors that most people cannot connect to and therefore do not perceive as virtues but are, nevertheless, inescapably inherent with every accomplished bounty hunter that I have personally met who presents as having a future in bounty hunting. It is quite a thing to very literally hunt a human being who has chosen to ignore judicial orders and jump bail irrespective of the bail jumpers charges; indeed, like a police car stop, there is no such thing as a “routine” bail fugitive apprehension; accordingly, there is an imperative to practice what law enforcement personnel call “officer safety,” and bounty hunters tracking wanted felony fugitives call it “agent safety” with the emphasis on going home safely to get paid safely. Apart from confronting a bail fugitive and potentially lethal third party bandit who is hidden or openly loitering in the arrest location and who each know that that a bail apprehension could result in a third strike sentence of 25 to life, bounty hunters must first find the bail jumping fugitive. who has skipped bail on a misdemeanor or felony case? Plainly stated, a new bounty hunter MUST FIRST find a bail bond agency owner or corporate officer who will award the new bounty hunter a bail enforcement contract. In other words, a new bounty hunter must bounty hunt clients for that one person who will present the opportunity to the new bounty hunter to prove his or herself; however, this point brings us back to the “certain sets of intransigent behaviors” generally found to be disagreeable to “normal people” who would never dream of bounty hunting or do dream and can’t because of natural personality barriers that are inconsistent with closing fugitive recovery contracts. · A successful bounty hunter is skilled in looking beyond what is plainly presented in favor of trying to look through the obvious to what is either hidden by deception, misdirection, physical objects or even in plain sight. · A successful bounty hunter is skilled at discovering seemingly inconsequential details while, at the same time, having the patience to stop, step back and look at the “big picture” to “connect the dots” and all of which may very well make a path shrouded in darkness become visible as if on a summer day at high noon. · A successful bounty can confront obstacles and people without an obvious confrontation but is confronting if necessary to light that darkened path. · A successful bounty hunter is audacious but not always disliked because of hidden audacity. Finally, in the interest of brevity, a successful bounty hunter simply will not give up even when submitting to circumstance out of frustration or lack of emotional or financial support from family and friends; a real bounty hunter cannot give up; it simply isn’t a virtue—to give up. 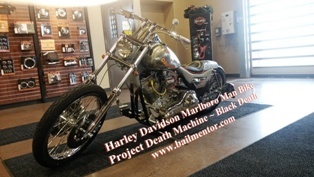 What are prospective bail bond clients looking for in a new bounty hunter? The answer is a personal one and shall be left in your capable discretion ~ Stay Safe & Watch Your Six. Q: Can bounty hunters carry guns? A: This Office receives approximately 850 calls weekly, and a notable percentage of these calls are in relation to bounty hunters and firearms. The short answer is "yes, no and maybe." This answer tends to frustrate people, but there are literally hundreds of variables that must be calculated and confirmed before making the very serious decision to carry a gun while bounty hunting wanted felony fugitives in California. In point of fact, it isn't possible to answer the question without hours and hours of classroom instruction in a variety of areas, and this question cannot be reasonably answered by a simple telephone call. Q: I can't find a job in law enforcement. Is the bail bonds industry or bounty hunting business right for me? A: The facts are these: federal, state, and local governments are suffering from harsh economic realities and billions in unfunded liabilities, notwithstanding causation for the purpose of the points raised heretofore. This office receives hundreds of weekly calls, and a percentage of the callers are either men or women who are seeking jobs in law enforcement, who have graduated from a P.O.S.T. academy and can’t find police or sheriff’s agencies that are hiring, who are former peace officers who have been laid off, or are ex-cops for other reasons. Unfortunately many of these perfectly employable men and women are overspecialized to the extent that some have spent years on education and subsequently acquired work experience that isn’t always conducive to civilian jobs in the private sector. Perhaps it is time to do your own research into the bail bonds industry? You may be able to find work as a bounty hunter or employee of a bail bonds company. You may be able to start your own bail bond company, but you won’t know if you don’t at least look into bail as a source of saving or creating your own job. Q: I would like more information about how to get into bail bonds or bounty hunting. How should I proceed from here? A: Spend some time on this and its sister websites. Click on photos that pull up videos. You should feel free to ring the Bailspeak Registrar for more information about how to enroll for class, but technical questions about lawful bounty hunting and bail transactions are covered in classes that intentionally kept small insofar that questions may be asked and answered. Q: Does Bailspeak offer any “group discount”or discounts for membership in a union or military discounts? A course fee schedule may not have the effect of discriminating in the amount of course fees based solely on membership or lack of membership in any group or association, including employment by any employer. No person may purchase from a provider the right to enroll a student in a course and sell that right to a student for more or less that the person paid the provider. No person may sell to a student the right to enroll in a course, or enroll a student in a course, and charge that student more or less than the person paid or will pay for the course. Note: Authority cited: Section 1812, Insurance Code. Reference: Section 1810.7, Insurance Code. 1. New section filed 8-20-2007; operative 9-19-2007 (Register 2007, No. 34). Q: I was approached by a bounty hunter who I later learned is not a licensed bail agent. The bounty hunter states that he has a long history of drafting bail bond motions, appearing in court, and even giving legal advice about bail bond law and motion. It all sounds really good. Should I hire the bounty hunter instead of those very expensive bail attorneys? A: See the Following Opinion Editorial—Caveat Emptor. Can Independent Bounty Hunter Contractors who are not Licensed Bail Agents Draft and Appear on a Bail Bond Motion for Sole Proprietorships or Bail Bond Corporations? The following is based on my personal, layman’s opinion as a private citizen who is simply observing his civic duty. I thought to follow up and add that the prior email on bounty hunters drafting moving papers and appearing in court for a bail bond surety isn’t applicable, in my personal opinion, with a licensed bail agent, appointed as an agent by the real party in interest bail bond surety moving a court, drafting and appearing under penal code law—so long as the bail agent is appearing for a sole proprietorship and not a bail bond corporation. It is my personal, layman’s opinion that Penal Code §1305 subsection j does allow for “the bail agent” to draft and appear for an unincorporated bail bond company when he or she is appointed by the surety upon which the bond was written. It is my personal, layman’s opinion that Penal Code §1305 subsection j carries greater weight and is deemed controlling over Business and Professions §6125 for the purposes of bail agents drafting and appearing on instant, civil matters injected into an existing criminal matter before a superior court. There are published case cites, however, where the Civil Code of Procedures has sections that are controlling over certain Penal Code, bail related sections, but, for the purposes of this personal opinion analysis, bounty hunters who are not licensed bail agents and appointed by the surety do not have standing under Penal Code §1305 subsection j to draft and appear in superior court and are subject to Business and Professions §6125 penalty—in my personal, layman’s opinion. Whereas, it is my personal, layman’s position that a bounty hunter appearing for a bail bond company as an independent contractor is, arguably, not drafting and appearing as an agent for the surety in any capacity and in such instances the matter in question then defaults to Business and Professions §6125 primarily because one well established structure of bail agents appearing for their own non-incorporated bail companies in superior courts reverts to another dictum based structure where, plainly stated, a private citizen—not even a corporate officer of the surety, which is also not applicable for the purposes of this personal, layman’s analysis—is somehow not even appearing in propria persona for the corporation and is likened to any person simply walking in off the street not to self-represent but to represent an entity that he or she isn’t even a corporate officer or shareholder of and all of which is because the bounty hunter is not a licensed bail agent who is appointed as an agent for any surety. Consequently and in my personal, layman’s opinion, judicial action predicated on the unlicensed practice of law subjects the victims of a crime to collateral attack by county governments insofar that previously granted bail bond motions may be reversed at any time, thus causing the potentiality of tremendous harm to the parties of a private civil bail bond contract specifically and the California Bail Industry generally once a court loses jurisdictions to even consider repairing the damage irrespective of remedies buried in ancillary codes. Furthermore, while California Penal Code §1305 subsection j allows for a surety appointed bail agent licensed by the California Department of Insurance to draft and appear for an unincorporated bail agency, there is no known statutory allowance for a corporate surety to unilaterally circumvent numerous related sections and in numerous applicable California Codes by summarily authorizing a common bounty hunter to practice law for a corporation—in my personal, layman’s opinion. 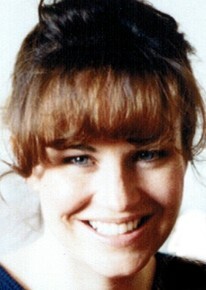 The civil and criminal liability may be further compounded, apart from a the unlawful practice of law by a common bounty hunter, if facts-in-evidence reveal that an attorney for a corporation, who is a lawyer, authorized the unlawful practice of law since exceptions may not be controlling over other California Codes—in my personal opinion. In addition to the above paragraph, it may be a misdemeanor crime for any person to intentionally deceive or collude to deceive a court or any party by making oral arguments under Oath or by submitting any document that causes a court or person to believe that a common bounty hunter may practice law separate and apart from established law to the extent that any attorney who provides such evidence or document or opinion may knowingly be faced with a criminal charge, fine and, possibly, disbarment. To be succinct in the interest of brevity, in my personal, layman’s opinion, a bounty hunter working as an independent contractor for a bail bond company is disallowed to appear under Penal law; moreover, Civil Code of Procedures does not apply because in the absence of Penal law applications the bounty hunter is then personally appearing for an incorporated surety where, arguably, said bounty hunter is engaging in the “unlicensed practice of law;” indeed, a corporation is not a natural person and cannot appear in propria persona; it can only appear through counsel with the exception of sending a corporate representative to small claims under Code of Civil Procedure section 116.510. PC §1305 (j) A motion filed in a timely manner within the 180-day period may be heard within 30 days of the expiration of the 180-day period. The court may extend the 30-day period upon a showing of good cause. The motion may be made by the surety insurer, the bail agent, the surety, or the depositor of money or property, any of whom may appear in person or through an attorney. PC §1305 (k) In addition to any other notice required by law, the moving party shall give the prosecuting agency a written notice at least 10 court days before a hearing held pursuant to subdivision (f), (g), or (j), as a condition precedent to granting the motion. 6125. No person shall practice law in California unless the person is an active member of the State Bar. 6126. (a) Any person advertising or holding himself or herself out as practicing or entitled to practice law or otherwise practicing law who is not an active member of the State Bar, or otherwise authorized pursuant to statute or court rule to practice law in this state at the time of doing so, is guilty of a misdemeanor punishable by up to one year in a county jail or by a fine of up to one thousand dollars ($1,000), or by both that fine and imprisonment. Upon a second or subsequent conviction, the person shall be confined in a county jail for not less than 90 days, except in an unusual case where the interests of justice would be served by imposition of a lesser sentence or a fine. If the court imposes only a fine or a sentence of less than 90 days for a second or subsequent conviction under this subdivision, the court shall state the reasons for its sentencing choice on the record. 6127.5. Nothing in Sections 6125, 6126 and 6127 shall be deemed to apply to the acts and practices of a law corporation duly certificated pursuant to the Professional Corporation Act, as contained in Part 4 (commencing with Section 13400) of Division 3 of Title 1 of the Corporations Code, and pursuant to Article 10 (commencing with Section 6160) of Chapter 4 of Division 3 of this code, when the law corporation is in compliance with the requirements of (a) the Professional Corporation Act; (b) Article 10 (commencing with Section 6160) of Chapter 4 of Division 3 of this code; and (c) all other statutes and all rules and regulations now or hereafter enacted or adopted pertaining to such corporation and the conduct of its affairs. Q: I was approached by a bounty hunter who is now trying or tried to be my general bail agent. I think he’s a bail agent, but I’m not sure if he is and what to do. What should I be concerned about? A: Has someone offered you “paper”to start your own Bail Bonds Company and to act as your de facto general bail agent when such person by deceit, omission or failure to fully disclose critical information about his or herself, that led you to reasonably believe that he or she is or ever was a California licensed bail agent, when such is not or ever has been the case, occur? This Office routinely and continuously receives reports from independent sources indicating that the practice of allegedly offering people “paper” to become bail bond business owners to the extent that the focus of questions are generally traced back to less than a dozen persons with some more active in the curious rascality of acting as a general agent when such persons either are no longer licensed or have never been licensed to transact bail in California. As a moral and ethical responsibility to the “protect the public”—within the spirit of California Insurance Code §1724.5 (e)—the aforementioned and heretofore general opinion is hereby presented, and the below code sections are for you to begin to decide for yourself as to whether or not someone failed to meet the duty of candor. “No person shall advertise or hold himself out as engaging in the business of executing, delivering, or furnishing bail bonds or undertakings of bail whether or not for consideration without holding at the time thereof all proper licenses required by this chapter. Those persons who believe that they may have been induced by intrinsic fraud or otherwise have been victimized and suffered financial or emotional injury may consider contacting the California Department of Insurance Consumer Hotline via its website. Q: Does Bailspeak have a “practice bail exam” or “copy of the test” for sale or given out at the bail pre licensing class? A: No. Rex Venator sat on the “Ad Hoc Bail Advisory Board Sub Committee” and assisted, during numerous visits to the California Department of Insurance building in Sacramento, in developing what would become the new “Educational Objectives” for both the new era of bail pre licensing and the new “smart test” bail exam; therefore, Bailspeak’s primary instructor knows what and how to train people for the California Bail Exam by and through California Department of Insurance Approved blocks of instruction over its 22 (not the minimum of 20) hour bail pre licensing course. Pursuant to California Insurance Code §1681.5(b), willfully cheating or subverting a license examination is punishable by a fine not to exceed $10,000 or imprisonment not to exceed one year, or, more plainly stated, it may be a crime to have a so-called “practice” or “copy” of the California Bail Exam. “I passed (bail agent exam) on Thursday; thanks for the help, and YES, you were right that I would pass! And as I went through my notes from class I had a detailed description of all three licenses that you had explained. I was just nervous about passing and now I'm going for my "Bail Fugitive Recovery Class" ... Thank You for your Patience and Knowledge as well as Inspiring me to be a P.I. as well. I someday would like to possibly teach a course like you do, but know I have a lot to learn about this business? "If the background check goes well (which it should) I will finally have the career I have dreamed of. HUGE shout out to Rex Venator & Bailspeak Pre Licensing Ed for being the stepping stone to making dreams come true. I cannot express my gratitude and appreciation for all that you have done for me and my family enough." "I passed my test through the California department of insurance for my bail exam. I was overwhelmed from all the encouraging words from my friends and family. I want to thank Rex Venator and Bailspeak for offering such An awesome and informative class. Taking the class offered by Bailspeak really just gave me personal confirmation of how much I enjoy the bail industry. 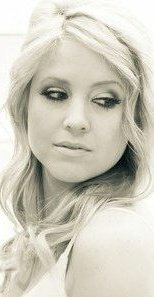 I'm so excited to move forward with my career!" Q: I am a bail agent, and I own my own bail company. Do I have to retake bail agent pre licensing if I do my own bounty hunting? Do I get any continuing bail education credit for taking pre licensing over? 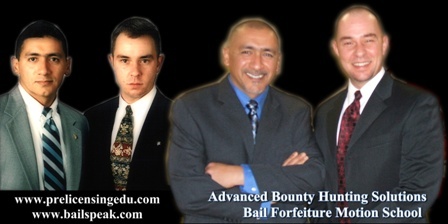 A: Any bail agent, who does his or her own bounty hunting on his or her own “paper,” who was licensed AFTER January 1, 2000 may be required to be California Penal Code 1299 Compliant to include completing 20 hours of bail agent pre licensing; indeed, Bailspeak’s bail agent pre licensing course continuously exceeds bail education requirements. For those persons licensed by the department as a bail licensee pror to January 1, 1994, there is no PC 832 education requirement. For those persons licensed by the department as a bail licensee between January 1, 1994 and December 31, 2012, a minimum of 12 hours of classroom pre-licensing education is required. According to the California Department of Insurance, there is no such thing as being “Grandfathered in” to anything; however, there are cases where certain aspects of bail and bounty hunting have exceptions or exemptions under very precise circumstances and all of which is common instruction to Bailspeak classes. Every Sunday and every Monday of each 20 hour bail agent pre licensing course are also separately overlapping Continuing Bail Education classes, Approved by the California Department of Insurance, for six hours each or 12 hours total CE Credit consisting of timely and relevant changes to bail laws and how those changes are impacted by societal shifts in thinking. Sunday is Lawful Bounty Hunting, and Monday is Advanced Bounty Hunting bail law and motion studies. These subject areas change at the speed of a text and therefore cannot be adequately covered in antiquated, online Bail CE courses with some containing course content that may be totally obsolete and endemic with information that may lead to unnecessary liability. Q: I need fugitive recovery equipment such as a badge, body armor, and maybe a Taser. Can Bailspeak help me with that? A: Yes. 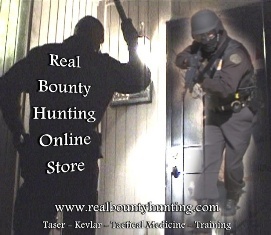 You may find what you're looking for at the www.realbountyhunting.com Bounty Hunter Pro Store that was created by Rex Venator and managed by real bounty hunters. Scroll Down and see Rex himself briefly explaining Bailspeak's online Bail Enforcement Supply Gear Bounty Hunting Store Products with more to come. From Northern California to Southern California, this California Department of Insurance Approved Bail Education Training School Leads the Way by Continuously resetting previously exceeded standards that then helps people who are working towards becoming posting bail agents, bail company employees, or fugitive recovery agents who practice the bounty hunting arts for the purposes of bail enforcement. Bailspeak’s Real Bounty Hunting Fugitive Recovery online equipment store has been totally renovated, with more field tested products coming online soon, and with plans to offer a much wider variety of safety equipment in addition to the currently offered tactical medicine blowout kits and training, Kevlar helmets, Extreme Sports Body Cams, and Taser Conducted Electrical Weapons and bail enforcement agent Taser User Certification. Q: I am a Bailspeak Alumni, and I need my manual, certificate and/or I would like the Bailspeak 20 hour bail agent pre licensing class handouts replaced. How do I proceed in doing so? A: Due to a substantial increase in requests for replacement manuals and class documents, unfortunately, replacing these items can no longer be done at no cost; therefore, please see the below PayPal button and select the proper option. Be sure to include what it is you are ordering in the Merchant Instructions window, and you should also follow up with an email to the Bailspeak Registrar to be sure the order is correctly shipped. Orders cannot be completed without including the exact city and date you completed your original Bailspeak course; Bailspeak does not keep digital records, so please include your full name and last four of your SSN for identification purposes. This courtesy is not available for non-alumni. Please Take Care of your original manual, certificate and class handouts. 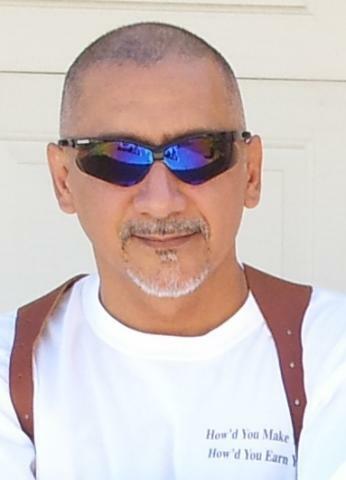 REX VENATOR is Bailspeak’s primary instructor with over 25 years of bounty hunting, 20 years as a bail bond company owner, 20 years of winning bail motions in open court, an expert court witness, and has been educating bail professionals since 1994. Combined Military and Civilian Law Enforcement in Combination with Extensive Bail Bond, Bounty Hunting and Bail Education Experience: Bounty Hunting Since 1992, Bail Education Since 1994, Bail Agency Owner Since 1997, CDI Approved Bail Education Since 2007. 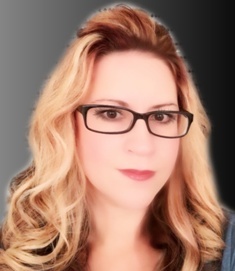 DEE BOSTON is a veteran bounty hunter, bail bond agency owner, private investigator, and California Department of Insurance registered bail education instructor. 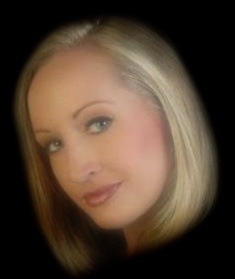 Miss Dee co-instructs and instructs bail agent pre-licensing classes throughout California.